A new documentary is dredging up a familiar cold case that has lived in the American zeitgeist for over 20 years, remaining a mystery until this very day. Although we know how JonBenet Ramsey died on Christmas Day 1996, many truth seekers, professional detectives, and amateur sleuths, have tried to answer the question of what exactly happened, but none have yet succeeded. The documentary claims to have new evidence and new insight into the case that could finally bring an answer to the still open mystery. Although investigators were able to determine the cause of death, the information that still remains missing in the infamous case is what brought about Ramsey's murder. By all accounts, it was a fairly typical Christmas Day in the Ramsey house in the last few hours leading up to JonBenet's death. Police reports state that the Ramseys attended a Christmas party at a friend's house and arrived back at their home at 9:30 p.m., at which time JonBenet was put to bed by her mother. 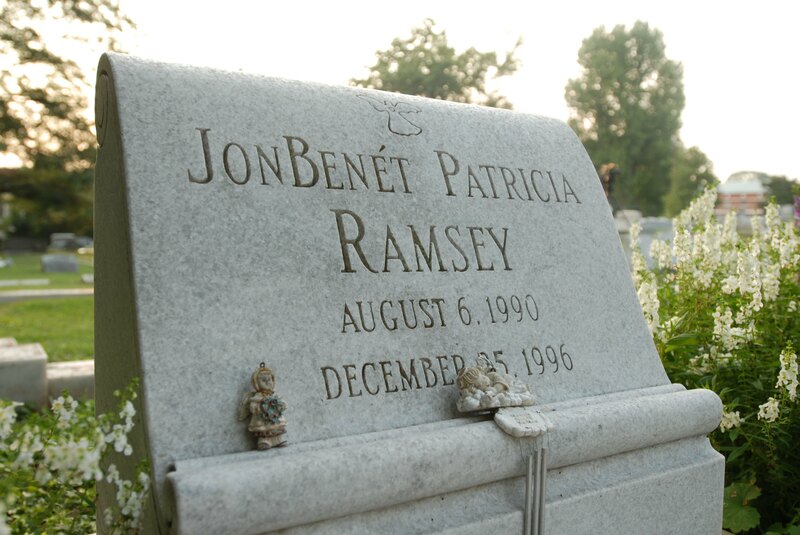 When Patsy Ramsey woke up at 5 a.m. the next morning, she found a two-and-a-half-page ransom note demanding $118,000 in cash for the safe return of JonBenet. Hours later, John Ramsey found his daughter's body in the basement — Ramsey had been sexually assaulted, suffered a skull fracture, and strangled with a nylon cord until she died. Even with a ransom note pointing to an unknown killer, the Boulder Police Department's investigation quickly zeroed in on the Ramsey family, which lead to a media frenzy the likes of which has rarely been repeated. Court documents released in 2013 revealed that a grand jury voted to indict JonBenet's parents on charges of child abuse resulting in death and being accessories to a crime, but the district attorney refused to pursue a case, citing insufficient evidence. The family was officially cleared in 2008, when investigators found DNA evidence pointing to a man who was unrelated to the family, but that hasn't stopped the speculation. There are dozens more small details in this intricate and convoluted case that don't quite add up. According to a Reddit AMA by former Boulder police chief Mark Beckner, a handwriting test to compare the ransom note to Patsy Ramsey was troubling and inconclusive; there was no sign of an intruder, yet the DNA evidence linked to another man was compelling; and many of the supplies used in the crime, like the notepad on which the ransom note was written and the duct tape that was used to bound JonBenet's body, originated from inside the Ramsey house. One of the reasons this case has stuck around for so long is that every piece of evidence seems to contradict another, and no linchpin to decode all the mitigating circumstances has ever been found. But this new documentary claims to have new evidence — after all these years, could this really open a new window into the investigation and finally bring justice for the little girl who was murdered nearly two decades ago?